Boss claims its place among the top five based on two well-known factors. One is the stellar harmonics that can be achieved by running one’s sound through the SD-1. 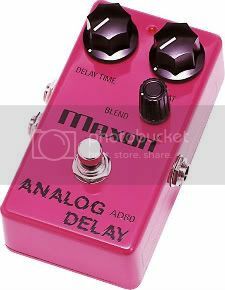 The other thing is that this pedal can be had for a very reasonable price – as little as $40 brand new from some retailers. This sturdy, well-made little pedal delivers plenty of shout and scream on its own, or can be coupled with its cousin, the Boss BD-2 Blues Driver, to push your amp’s sound beyond the manufacturer’s suggested limitations. It provides a warmth that won’t pave over the instrument’s voice or diminish your pick strike. If it’s good enough for professional musicians (U2’s The Edge keeps a Boss Super-Overdrive in his arsenal, and it has long been a staple of Radiohead’s sound), it’s probably going to work – at least in the short term – for just about any player who wants to punch up his or her sound. One would surmise that the name Jimi Hendrix would be automatically associated with thick, ropy guitar tones – particularly when run through an amp full of glowing vacuum tubes. 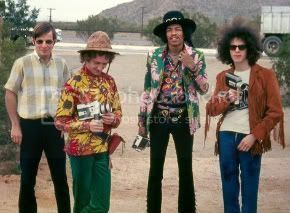 The primary difference between the Hendrix Fuzz Face and others is the fact that it uses germanium transistors, which are meant to be warmer, but are said to be inconsistent from one unit to the next; some guys swear by them and others swore them off long ago. (There’s also a “blue” Hendrix Fuzz Face pedal that uses silicone transistors and is favored by many.) It provides tones that are quite melodic at less than full blast but are undoubtedly warm and fuzzy when maxed out, and without the raspiness of some of its competitors. If you’re looking for that guitar-set-on-fire distortion, this pedal gives you that. The sounds produced by the Ibanez Tube Screamer were responsible for a good-sized chunk of Stevie Ray Vaughn’s sound, and it’s hard to argue with that. By ramming ever more overdrive through your tube amp, you’re increasing the amplitude to the point of overloading the signal. With the pre-amp gain loaded up, the Tube Screamer’s saturation thickens up the sound. This pedal is also preferred for fattening (and de-sterilizing) the sound of solid-state amps. With simple controls – OD, tone and level – it requires very little manipulation, and is a stomp-box that can take a lot of punishment. Some players like to combine the Tube Screamer with other pedals, but others swear by it all on its own. The popular TS9 is the Number One selling overdrive pedal at GuitarCenter, closely followed by the TS808 Vintage Tube Screamer re-issue version. Operationally speaking, this pedal is a little bit more complex than the others on the list, but what that really means is that you have more control over your sound. The Fulltone OCD and the Fulltone Fulldrive 2 Mosfet are both lauded for the transparency they provide, lending perfect distortion to your sound without changing the identity you’ve worked so hard to establish. With a few tweaks, however, it can also successfully model the classic tones, with a low-peak option to emulate Tweed-style amps, or high-peak to better suit the Marshall J-series tube heads. The Fulltone’s low-compression gain is highly sought after in certain circles and is practically unique to this pedal. The quality of the Fulltone’s build also guarantees years of service, which is convenient, because you’re not likely to get tired of its sound anytime soon after getting your hands (or, rather, your feet) on one. The Pro Co Rat has long been considered the benchmark for overdrive pedals. The Rat’s versatility is what separates it from the rest, as it is capable of achieving heavy blues, hair-metal trebles, grungy depth, percussive punk and heavy blasts for good old rock ‘n roll. Despite its three-knob simplicity – distortion, filter and volume – it really is one of those pedals that you’ll want to spend some time with in order to familiarize itself with its wide range of tones. It is known for its tremendous sustain, and has been used by artists across the spectrum, from David Gilmour to Dave Grohl. The Rat also offers no-tools-required access to the 9-volt battery (in the event you won’t be running it off a power source), which is convenient. And, like all Pro Co products, it is literally built like a tank, with a virtually indestructible steel outer body casing. 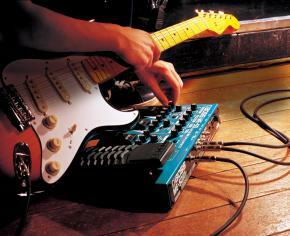 If one is trying to achieve a signature sound, a la Hendrix or SRV, there’s a pedal for that. If one wants to put more weight on his tone than Atlas could hope to uphold, there’s a pedal for that, too. If one wants clarity and sharp edges, such things are definitely sitting on the shelf. But if one wants “all of the above”, the Pro Co Rat2 is the best bet to end the search for that certain overdrive pedal, because this box can legitimately claim to do it all. 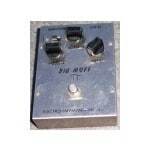 Plus, I think there are more versions of the Big Muff than any other pedal in existance. I realize there are other version of the five listed, but few are listed under the same name; we’re not talking about clones, mods or a similar circuit produced under a different name either. I’m glad you mentioned mods, a point I more or less neglected in the piece. You can beef almost any pedal up to meet your own lofty standards. They all pretty much do the same thing. The differences are subtle – “tone”, after all, is entirely subjective; no two pairs of ears hear things exactly the same way (and there are even variations among the two ears that are attached to your head). And that doesn’t even speak to the fact that some people just don’t “like” that which sound awesome to others. So, in the final analysis of distortion pedals, it all comes down to materials and workmanship (and that, in turn, goes back to the experience and intelligence of the shop that produces them). Components are a big issue, especially in some of the early pedals. You can have the same pedal w/ different caps or diodes, for instance, because they used what was available & have a different tone. A lot of the current mods address just that. I think in a general sense you have categories of pedals rather than, a great specific pedal. My personal taste is for the Keeley Red Dirt. I have never owned a Superdrive, but I have owned a BD and now, I go with the Keeley Katana Blues Drive. Again, I haven’t owned that particular Fuzz Face, but a few along the way, and I go with the Holy Fuzz by Keeley or the Earthquaker Devices Dream Crusher. I know their are a lot of muff fans, and I am trying a new one out . . . . but, tone benders are just fine by me with Pedalworx Bender Over Under and Keeley Black Glass OC44 tone benders leading the way. I would maybe buy an OCD, but apparently everyone claims you need the hyped up first edition; plus, the one Fulltone pedal I owned was lauded – the BC109 – and, I thought it sounded tinny and nasty in a bad sort of way. I have had a couple of RAT variants, but not a RAT . . . however, Kudos to the VFE Alpha Dog; though, I generally don’t like distortion so I sold it and now, I am selling my recently acquired distortion pedals because I just like fuzzes and overdrives better – go figure. I actually use the E.Q. Dream Crusher for AC / DC tones – though preamped with a Keeley treble booster. Great post and lots of food for thought. I like how setup for AC/DC tones. For fuzz, I’m a huge EHX Big Muff fan. It does everything I need and they are very reliable.